Peel and slice avocado and arrange on a serving plate. Crumble chevre over avocado slices. 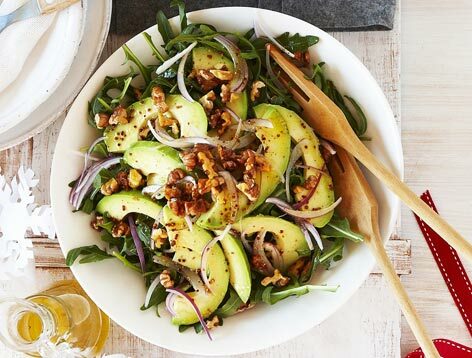 Sprinkle with toasted walnuts and drizzle with walnut oil. Sprinkle with salt and pepper to taste.